I realized I never really post any of my everyday looks. well if you call this easy breezy haha. So yes this is my lazy look. When I go out I go out and It is almost always movies or with friends around NYC I am more extreme with makeup, I think it shows a form of art on my face you know. But I have other days with family and I want to be lazy-ish with my hasty makeup techniques. So this is usually for weekdays or for fast trips, airplane rides for example. lets change it from time to time yeah. Well that is at least for me cause he never minds if ever. I love to dress up, look like a doll and most times un-naturally with the eyes wigs and jewelry. Cause at the end of the day I can take it all off be myself with the people closes to me. Woman you always look fab. 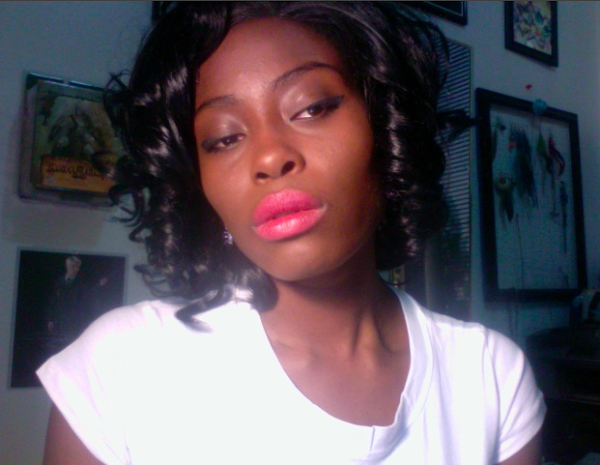 loving the pink lip. Wish I could find a pink that suits me.